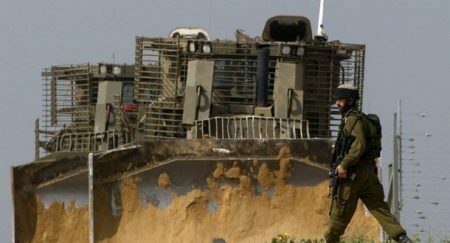 Israeli forces demolished, on Tuesday, the Bedouin village of al-Araqib, in the Naqab region of southern Israel, for the 119th time since 2010. Aziz al-Turi, a local activist, said that Israeli bulldozers accompanied by police forces raided the village and demolished its makeshift homes without any consideration for their residents, and despite of the bad weather conditions. “The [Israeli] police is always trying to provoke us … The demolitions will not frighten us and will not deter us from rebuilding our homes,” he told the press. WAFA further reports that Al-Araqib is one of 35 Bedouin villages considered “unrecognized” by the Israeli state. According to the Association for Civil Rights in Israel (ACRI), more than half of the approximately 160,000 Negev Bedouins reside in unrecognized villages. Demolitions targeting Palestinians with Israeli citizenship sharply increased in 2017. An Israeli police raid to evacuate the unrecognized Bedouin village of Umm al-Hiran turned deadly in January, and sparked widespread protests of the treatment of Palestinian citizens in Israel. Right groups say that the demolition of unrecognized Bedouin villages is a central Israeli policy aimed at removing the indigenous Palestinian population from the Naqab and transferring them to government-zoned townships to make room for the expansion of Jewish Israeli settlements.